“Well done!” and “try again!” are the most commonly used forms of feedback, but what do they really teach your learners? According to the science (Gibbs and Simpson, 2004), approximately diddly squat. Often overlooked, feedback is actually one of the most powerful tools in elearning. It helps the student understand the subject at hand and gives clear guidance on how learning can be improved. In order to use new technologies to teach effectively, we need incorporate constructive feedback like we would in real life. Nothing says “try again” like the car you just tried to repair not starting. More importantly, however, we need to first understand the mechanisms of constructive feedback in order to take learning outcomes and retainment to the next level. Here are just a few ideas that can be used to create powerful feedback with high impact in your elearning. Why is Feedback so Powerful in Learning? Feedback is an amazingly powerful tool for learning, but only if it is applied correctly. Through childhood to old age, we use feedback to learn everyday – and have for millennium. Feedback can be as simple as life telling you to do something differently, such as when you try something that doesn’t work out. Alternatively, we can learn from external feedback – such as people telling us what works and what doesn’t, what we should do and what we should not (think of dear Ma’s sage advice of not running with scissors). How often, however, have you caught yourself muttering “I should have listened”? Despite your Ma’s best intentions, we often need to make a mistake ourselves first before actually learning the lesson. This is because your brain needs to be actively involved in the learning process. Luckily, we can use this fact of human nature to make feedback even more powerful. By providing constructive feedback (i.e. by indicating the reasons why something may not work) as opposed to passive feedback (i.e. ‘try again’) we can lead the learners thoughts and ideas in the right direction. By not hindering the learning process with unsatisfactory, passive feedback, we can help learners better understand and transfer their learnings to different tasks or situations. By using feedback correctly, we can use natural learning processes and additional information to enhance the practical, real-life learnings of our learners. You know it’s coming. I know it’s coming. We’ll start with the obvious. In recent years, Virtual Reality and Augmented Reality have given us great opportunities for implementing constructive feedback. The idea that learners carry crucial learnings from the teaching process to real-life is made tenfold easier by the ability to execute tasks in a virtual environment wherein they can immediately see the outcome. We’ve already seen some of the big hitters use these ideas to their benefit, like NASA’s worst-case-scenario spacewalk or Monmouth County’s law enforcement officer training simulator. However, the rise of digital learning has gifted us with another extremely powerful feedback tool: self-evaluation. By recording the learners as they execute the tasks, they are then able to rewatch their performance and identify themselves what they could have done differently and judge their own performance. This behavioural mirroring has a strong impact on learning, even more so when done the evaluation is done as a group tasks with colleagues or peers. Besides the obvious learning benefits, assigning group evaluations coaches team members to work together, give respectful feedback, take responsibility for their actions, and develop other crucial soft skills (providing they are monitored properly, of course). Remember, it’s not the feedback… it’s how you give it. By delivering feedback as simply ‘right’ or ‘wrong’, the information you are trying to get across can instead be misunderstood or misinterpreted as feedback for personality. This is especially challenging in an elearning setting where there is a lack of interpersonal relationships between learner and teacher. By providing a more complex level of feedback, your learners are able to immediately create their own ideas on how to improve on their performance – both during the learning process and on the job. From Virtual Reality to ‘serious games’, VMP eLearning takes a look at the biggest eLearning trends for 2019! VMP eLearning chats with Cutting Edge’s Virtual Reality aficionado, Benjamin Richards, about the future of Brisbane’s VR/AR scene, the benefits of gamified learning, and transmitting yourself through your watch. Save money with eLearning on your company staff training, employee onboarding, skills development, and other educational programs. We design and develop customised Digital Learning solutions for any industry, sector, or topic. 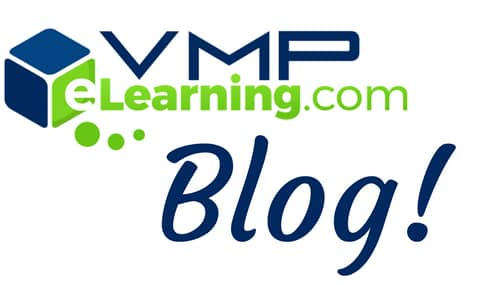 VMP E-LEARNING AUSTRALIA PTY LTD is a company which produces and hosts eLearning courses for accredited and non-accredited training organisations plus corporate clients. With a pedigree of over 20 years of professional screen production, VMP eLearning focuses on enhancing the student experience and their learning outcomes. The company has developed dozens of interactive educational courses for sectors including banking, emergency services and energy utilities. VMP eLearning currently holds Standing Offer Arrangements with TAFE, the Department of Education & Training in Queensland, Queensland Fire and Emergency Services & CS Energy, and continues to deliver high quality educational products to a wide variety of clients with a particular focus on interactive video-based learning for better learner engagement.